Item No. 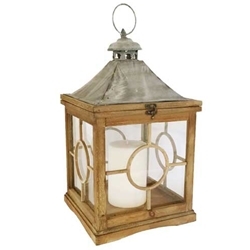 273 French Revival Lantern with framed glass panels and a zinc metal hinged roof. An O-ring provides the option for hanging.